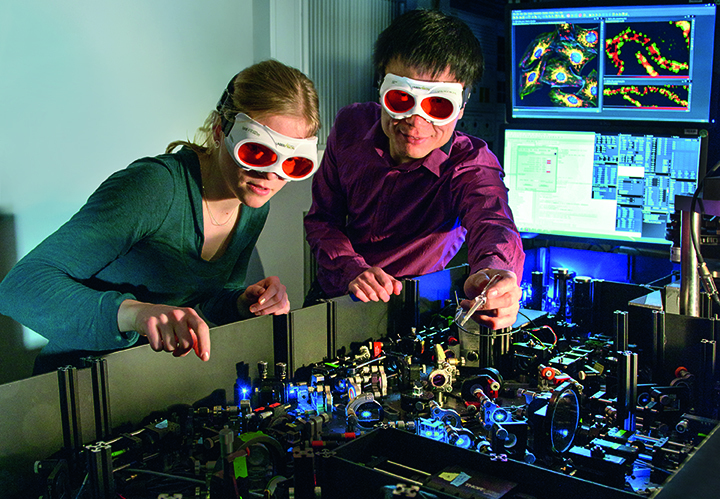 (pug) The University of Göttingen and its partners at the Göttingen Campus have been awarded funding for the Cluster of Excellence “Multiscale Bioimaging: from Molecular Machines to Networks of Excitable Cells” within the Excellence Strategy funded by the German Federal and State Governments. With one funded Cluster of Excellence, the University will not be able to apply via the “Universities of Excellence” process. “This is a very disappointing moment for the University of Göttingen and for me as President. It is of course very regrettable that only one cluster was awarded in the competition. However, wholehearted congratulations go to all our colleagues involved in this cluster,” says University President Professor Ulrike Beisiegel. The senior management of the University will now wait for the written reviews and plan the next course of action with the three other Cluster initiatives, which also submitted very good proposals. "All the scientists and scholars involved in the Cluster initiatives deserve our thanks for their great dedication," says Beisiegel. The University leadership is determined to further promote the outstanding research achievements at the University and on the Göttingen Campus and to continue to develop teaching at a high level. Activities in the region will also be pursued with great commitment. The funded Cluster “Multiscale Bioimaging: from Molecular Machines to Networks of Excitable Cells” aims to understand the structural and functional properties of excitable cardiac and neural cells at many different scales. To decipher disease-relevant nanoscale functional units in these cells innovative imaging methods will be developed and applied. The biomedical insights gained from the multiscale analysis shall then be used to devise novel diagnostic and therapeutic approaches for diseases of the heart and brain. Project spokespersons are Professor Tobias Moser, neuroscientist at the University Medical Centre Göttingen, Professor Claudia Steinem, chemist at Göttingen University and Professor Patrick Cramer, molecular biologist at the Max Planck Institute for Biophysical Chemistry. Funding will begin on 1 January 2019.